The Cheesecake Factory is a national full service restaurant chain with over 150 locations across the United States. The first Cheesecake Factory restaurant opened in 1978 in Beverly Hills, CA with generous portions on their extensive menu and casual, comfortable dining. I’ve been to The Cheesecake Factory a few times over the years. It’s always fun to eat there because their menu reads like an encyclopedia of delicious sounding food. 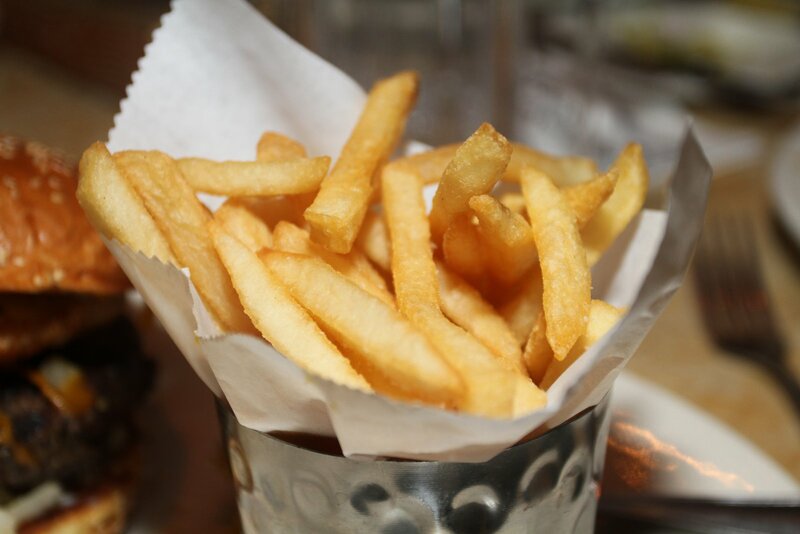 From the appetizers to the drinks to the entrees, I usually have a hard time picking something new to try there. “I’ll give you guys a few more minutes” is commonly uttered by the waitresses on our trips there. This trip was celebrating my wife’s recent raise and a good friend’s recent job promotion, so everyone was in good spirits. When I saw a new “Glamburgers®” addition to the menu, my merry mood multipled immediately. The Glamburgers® Menu features an impressive 16 sandwiches. I saw that the Farmhouse Cheeseburger was a fancy version of my favorite “Bacon Cheeseburger with Fried Egg” and my usual indicisiveness turned into focused patience as I waited for my burger to arrive. Instead of the standard bacon, they topped their cheeseburger with grilled smoked pork belly and I was anxious to try this swanky switchup. I also made sure to order the egg fried “hard”, becuase I’m not a big fan of runny egg juice. When my cheeseburger arrived, the first thing I noticed was the sunny side up egg dripping down the side of my sandwich. The second thing I noticed was how crispy the outside of the burger looked. I ordered the burger to be cooked medium, and there was now way any pink could have survived on the inside. I generally don’t like sending food back in a restaurant. I’m just sure it’s going to come out worse than how it came in because I’ve upset a line cook. I just can’t eat sunny side up runny eggs, so I made an exception. The burger was pretty crispy looking before it went back to the kitchen, and instead of just frying a new egg real quick, then seemed to stick my whole plate under a broiler or something to try to cook the egg. It came out still sunny side up, just slightly less runny. The burger patty definitely got darker and the bun looked like it had been left in a toaster a cycle or two too long. The first bite of the sandwich had a lot of crunch…but not the good kind. The bun was crunchy and crumbly, the burger was crunchy on the outside and devoid of any semblance of juiciness. The only oasis was the smoked pork belly that somehow survived the second sandwich searing and retained its salty pork flavor. 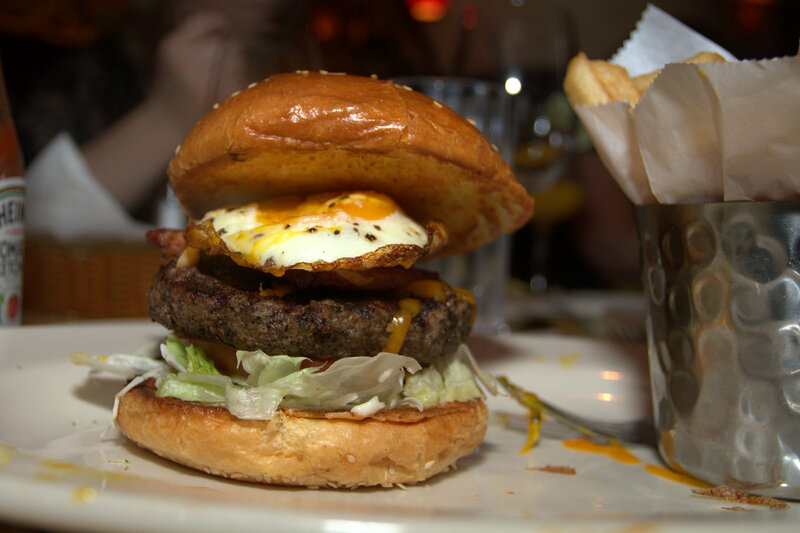 I really do enjoy eating at The Cheesecake Factory, and maybe my expectations of a new menu addtion called Glamburgers® were too high, but the execution of the Farmhouse Cheeseburger on my visit was dissappointing. Our service was great and our waitress was friendly and attentive, however, I don’t know if I’d give the Glamburgers® menu another try. I may have to stick to making my way through their other great, non-burger items on their huge menu. 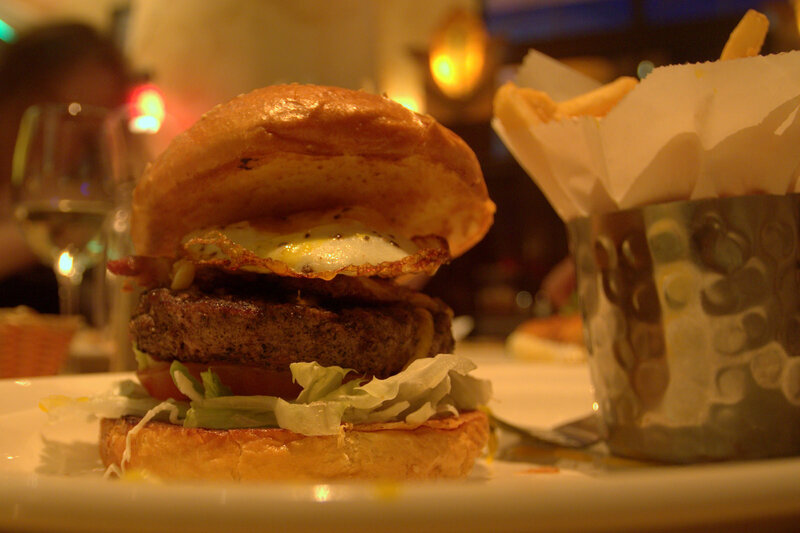 Have you tried the Glamburgers® at The Cheesecake Factory? Let me know in the comments below how your meal turned out. I never send food back either. You just got to live with how it comes out to you, otherwise it just comes back to you even worse. 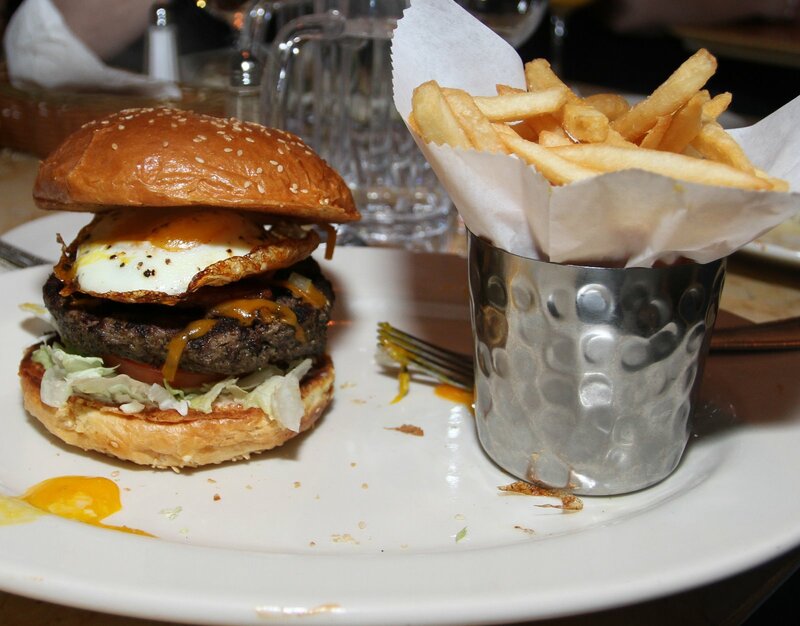 Just got back from the CCF and ate my delicious fried egg burger. It was very juicy the meat was tender and moist. The egg was cooked to perfection . The pork belly gave it a great boost of flavors. I recommend this to anyone. Thank you dj for Getting me a delicious scrumptious meal. Even the best burgers can be ruined when overcooked. I got so sick of places overcooking MR that I just started ordering Rare and if they miss and hit MR, I’m happy. This was one of my favorite burgers around and I was sad to see them pull it from the menu. 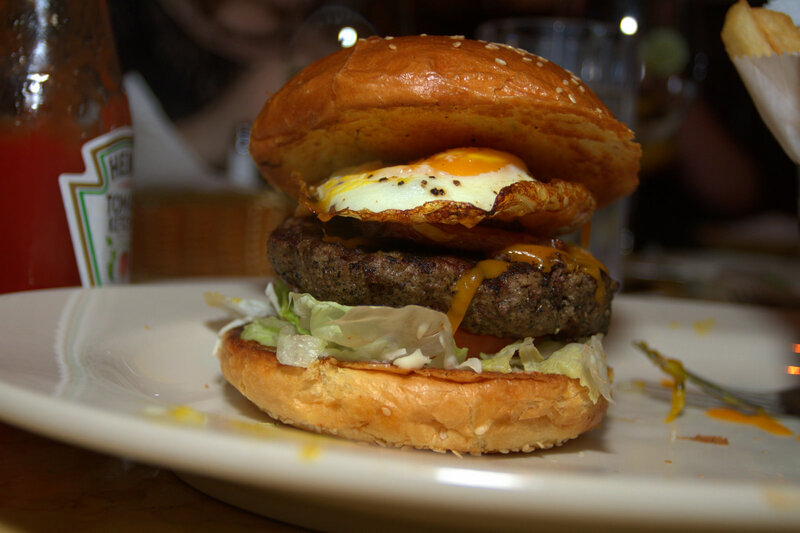 I loved the runny egg complementing the juicy beef, but the standout on this burger was the pork belly. More places need to step up their pork belly game.